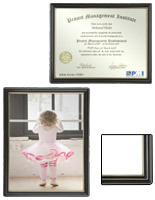 This Picture Frame has a Modern Silver Finish! 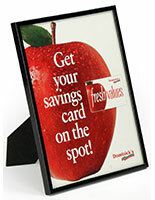 This Picture Frame is Perfect for Displaying Posters, Signs, and Photographs! 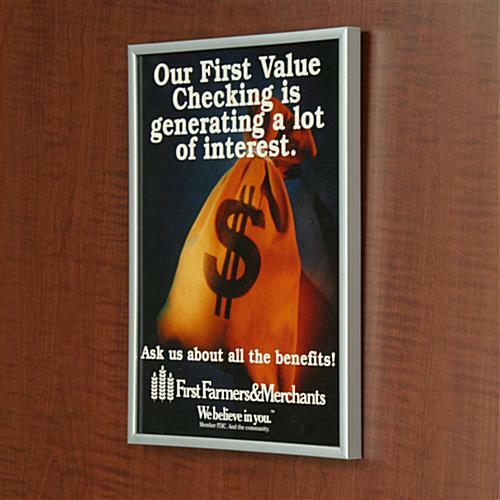 Buy Poster Frames Online, Thousands Ready to Ship! 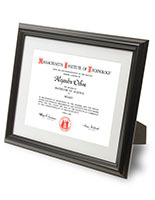 Picture Frame in Plastic Silver Finish, 8-1/2" x 11"
These picture frames are made of durable, yet lightweight plastic, allowing for easy wall mounting and exchanging of photos and signs. The silver finish of this picture frame will fit into any room décor, and helps to highlight the enclosed information in a modern way. 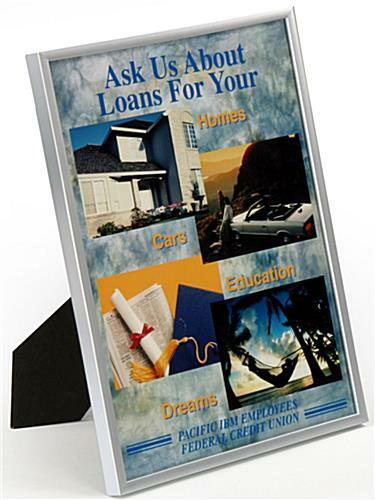 These plastic picture frames hold your 8-1/2" x 11" signs securely, either vertically or horizontally. 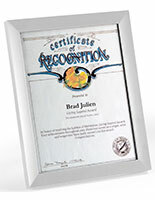 Picture frames, also recognized as photo holders, have a silver plastic frame with crystal clear glass lens. The plastic frame looks and feels like metal, but incorporates the lightweight, rugged and inexpensive characteristics of plastic. 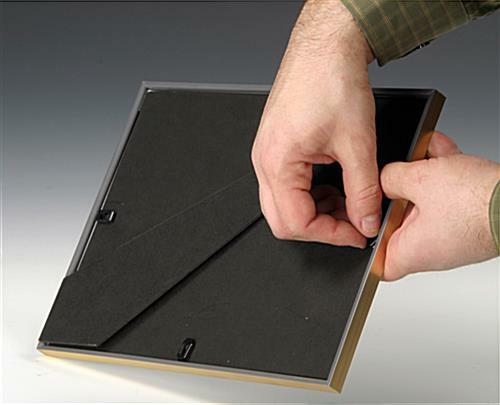 These plastic picture frames can be mounted to the wall with the pre-installed hooks and a small nail (not provided). 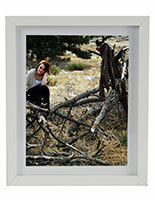 We also design this picture frame with a fold-out easel so it can stand on a countertop or table. Your signs or images are effortlessly loaded or unloaded with the simple turnbuckle system. 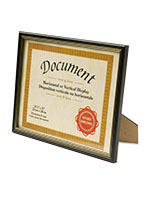 These plastic picture frames, which are also photo holders, have a observable space of 8-1/4" x 10-3/4", please enable for a 1/8" border all the way around your 8-1/2" x 11" sign.